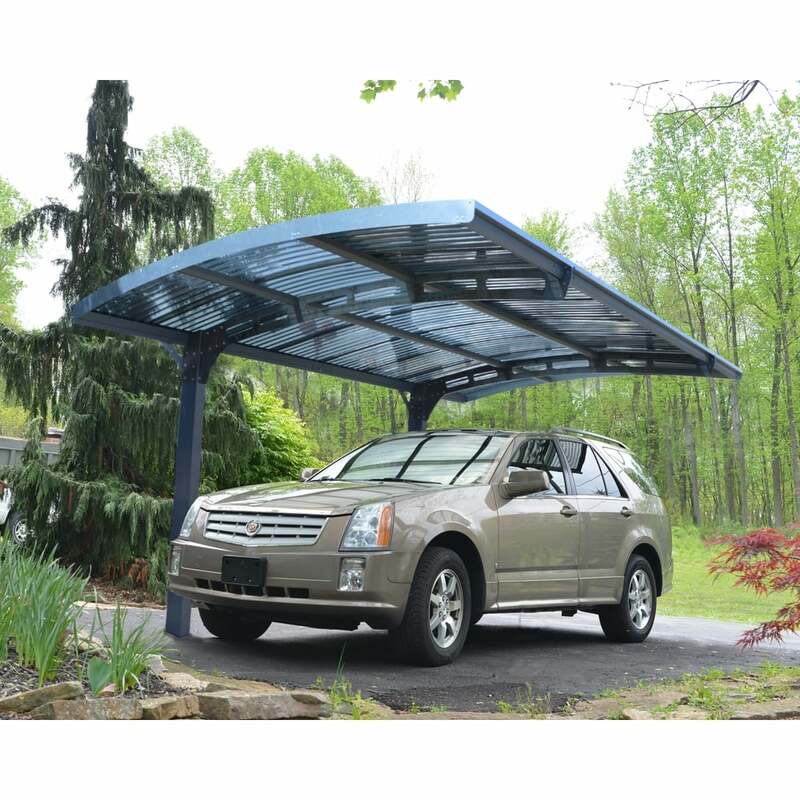 Palram Arizona Wave 5000 Carport: This sleek and stylish carport from the Palram Polycarbonate range has a handy two legged design to allow for easy and simple access when parking and manoeuvring the car. This carport can also double as a shelter and will provide you with 100% UV protection through the strong and virtually unbreakable polycarbonate roof panels. This structure has been designed with high performance in mind and will provide shade and shelter for you or your vehicle. As an added bonus this carport has 2 built in gutters to channel away the rainwater. Please note that concrete footings are required for the installation of the structure.